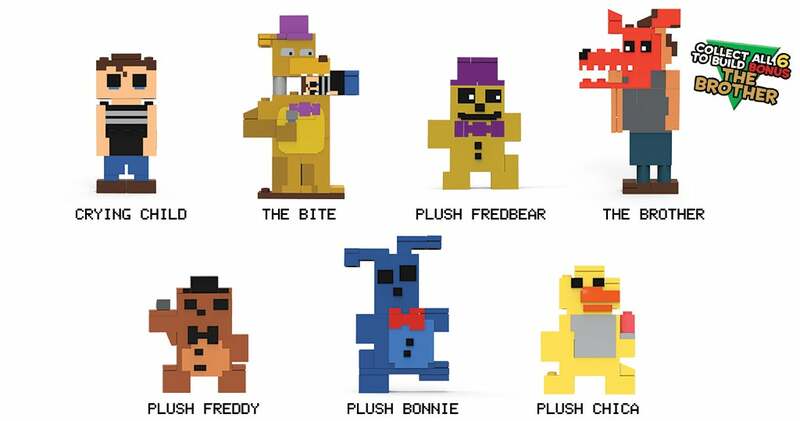 Some of my favourite Five Nights at Freddy's toys so far have been McFarlane's series of buildable characters inspired by the series' retro mini-games. Coming in March, series two lets fans explore one of the series' most important, most tragic moments. 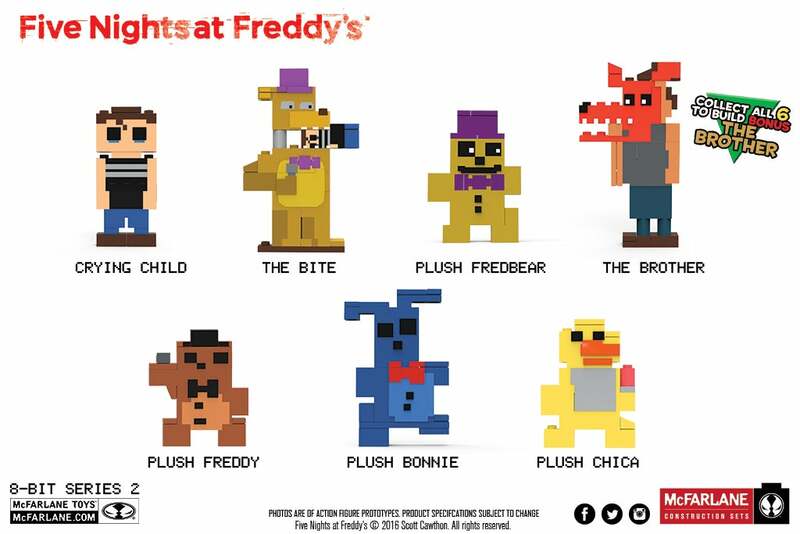 Packaged in blind bags and retailing for a mere $US3.99 ($5), the first series of Five Nights buildables have been a hot seller for McFarlane Toys. A second series was a no-brainer. Well, at least a no-frontal-lober. I am so sorry, Freddy fans. Series two features the Crying Child, his plush friends and the horrible event that led to the animatronic animals of Freddy Fasbear's Pizzeria only being allowed to roam free at night. Collect all six figures and you'll have the parts to create the horrible brother who started (and ended) it all. For those non-Five Nights fans out there, this is a series of buildable figures that includes a robot bear with a child's head in its mouth. Look for them to hit stores in March 2017.